This week we shared heartwarming tales of things people had done for us or said to us during our cancer treatment. We often focus on the negatives, remembering clumsy words from colleagues or friends who made themselves scarce. This time, we talked about the unique contribution special people had made to our lives, uninvited and with thoughtful sensitivity. The things they said that hit the spot and made us feel understood and cherished. 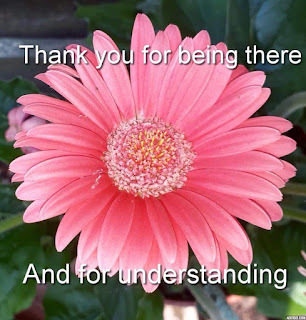 As the conversation grew and our members started to reflect on their experiences, a remarkable sense of warmth and caring shone through the comments, with numerous unique and understanding acts and words of kindness flowing freely from the woodwork of our thoughts. Generous acts came from all around us - partners, parents, siblings, friends. And for those with children, a recognition of how hard our diagnosis hit them but also how they were able to adapt, accept, muck in and often laugh with us, with many saying the right thing at the right time alongside a big hug. Strangers, too, often touched us with their kindness, and some became friends as a result. Work colleagues surprised us with gestures which showed they were on our side. Some women like to be left alone when not feeling well and appreciated friends who popped by with a gift and a good wish but didn't intrude. Others were delighted to have someone to sit with them, quietly, just to be there. We have members with both primary and secondary diagnoses, and being treated 'normally' but with consideration is so important for all of us. Yes we have or have had cancer, but we still want to hear about your lives - we may be fragile but we won't break. Although having cancer is no walk in the park, many women reflected that the support they received made them realise how much they are loved. We thank you all, from the bottom of our hearts, for understanding what we needed and for being there. 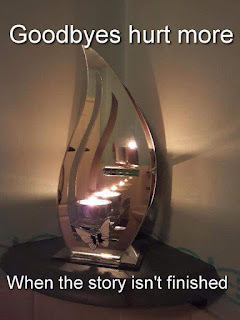 How does it feel to lose a loved one to cancer? This was our discussion topic this week, introduced with reference to 'survivor's guilt', the stark reality of our mortality, our sense of how unfair life can be, and our resilience which somehow enables us to carry on. This topic stirred deep and raw emotion in our members, given that our membership embraces women with both secondary and primary diagnoses. We heard many moving tales of loss, of fear and injustice, of pain and sadness. However some members reported finding comfort, much later, in fond memories; and gratitude is something many of our members cherish alongside their vulnerability. We heal, we learn to accept, because we have to. One member gave us this poignant poem, which says it all. How do we deal with and manage worrying symptoms once we've received the 'all-clear' and finished our active treatment for breast cancer? The end of active treatment for a primary diagnosis of breast cancer carries with it a mixed emotional response - there is joy and exhilaration that we have finally reached what has been our goal and focus for a very long time. But, we are left alone to cope with all the after-effects of treatment and at a vulnerable point psychologically, as our fear of recurrence may dominate our thoughts. We are encouraged by our treating teams to be vigilant for signs of recurrence, to report any symptom or pain that lingers and disturbs us. It is perfectly natural then, for our attention to be directed towards any signs so that we can detect anything sinister early, to have a sense of control over the course and progression of any possible cancer-related symptom. ii) the dilemma of what to do, when to seek medical advice or what we should see as 'normal'? Many of us had experienced 'scares' - bone pain, coughs, ambiguous scan results, lumps requiring biopsy - and going through further investigations and agonising waits for results. 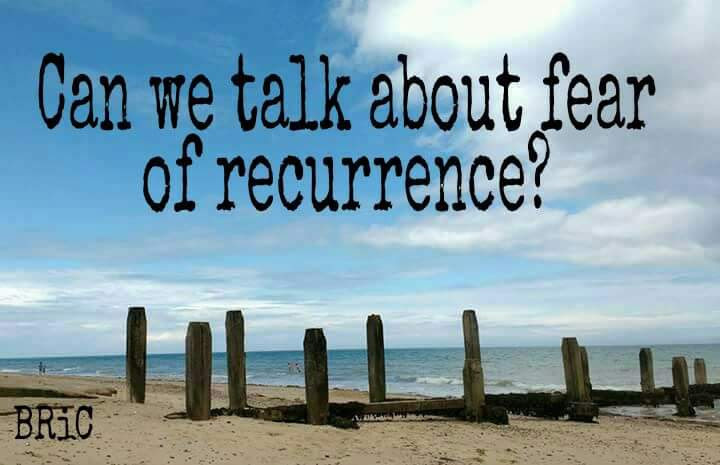 For most of us, these 'scares' are usually followed by enormous relief at finding out we are cancer-free, but many of us in the group have experienced a recurrence or secondary breast cancer. Women with secondary breast cancer described a range of experiences - having symptoms dismissed by health professionals, or long delays; while others felt as though they had been struck by a bolt from the blue, sometimes many years after their original diagnosis, at a time when their fears had subsided. Women with secondary breast cancer experienced vigilance in a similar way to women who had had primary breast cancer, but it is directed at symptoms which might indicate a progression of their disease. Naz explained that being vigilant for signs of threat is known to fuel fear and anxiety. This is because vigilance is often related to a tendency (or 'bias') to see 'ambiguous' symptoms in a threatening way (for instance, do we think that a persistent cough is secondary breast cancer, or, the lingering after-effect of a virus?) We were all aware of the implications that this vigilance has on our day to day functioning, occupying our thoughts, absorbing our attention and energy, especially when we feel ill or are experiencing pain. Some of us seek help straight away. Others adopt a 'two-week' rule (or three) whereby we wait for several weeks to see if our symptoms go away. A few of us avoid going to our GPs because we know they will arrange investigations which we will find stressful. Good advice is to try and remind ourselves that we got sick before we had cancer; that cancer is only one possible explanation for our symptoms. It is, however, a challenge to be vigilant to new symptoms, without over-estimating the consequences of cancer (or other) related symptoms. Naz explained that our ability to direct our attention towards and away from signs and symptoms that may or may not signal recurrence is largely dependent upon our mental flexibility. She explained her view that it might not be the vigilance for threat that is disruptive to us, but our over-interpretation and the way we can get stuck, going over and over symptoms which we as a potential threat - something Naz called ‘inefficient attentional control’. 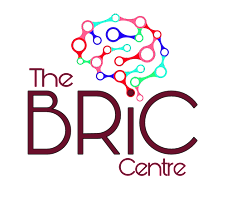 Because when we are diagnosed with a life-threatening illness like cancer, our emotional brain systems tend to fuel attention to signs of threat simply because we want to survive, it is hard to exercise attentional control. How have you been dealing with and managing possible signs of recurrence? Weekly Discussion Summary ~ Can we use adversity to grow in 'positive' ways? So sang Elkie Brooks, and so sing our members, answering the question we posed for this week's discussion: can we use adversity to grow in 'positive' ways? Trending research shows that resilience ppcan be built following trauma, and that this in turn can lead to positive change. Our members' experiences confirmed that the answer to the question is a resounding yes. 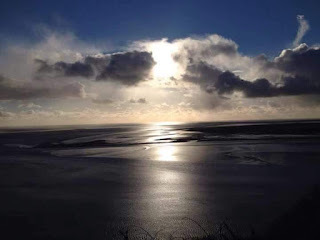 Many reported leading more colourful, appreciative and intense lives post-diagnosis, highlighting the extremes experienced as ups and downs, highs and lows, the yin and yang of joy and suffering. The body is hard-wired to heal and the brain has compensatory mechanisms to deal with mental fragility. Practising self-care, taking care of our emotional as well as our physical needs, alongside self knowledge and awareness, has helped many women to grow beyond and because of their experience of breast cancer. We have members with both primary and secondary diagnoses, and many in both categories report finding a renewed passion for living, putting themselves first but without compromising their kind and caring sides. There is a sense of no time to waste, which for some means cherishing a quieter simpler life, and for others being adventurous and packing in lots of activity. Many have left stale or stressful jobs, finding new careers which are more satisfying, with some giving up work altogether. Some have moved to new homes and/or new locations. Many have taken up new hobbies, found a creative passion, or pursued a more healthy and active lifestyle. Friendships have evolved, with those who haven't stuck with us getting left behind, and new friendships, often made with other women with a similar diagnosis, have blossomed. Families may become closer, old hurts discarded in favour of more nurturing relationships. Life is too short to sweat the small stuff; a saying I'm sure you've all heard, but for us it's true. Little things are what we appreciate: our morning coffee, the sunset, nature. Little niggles we can let go of, realising they don't matter. Even when it's raining, we look for rainbows and our clouds are filled with silver linings. With thanks to Jane for this wonderful photo. This week our discussion explored our guilt and the sense of responsibility we feel for the worry and pain our loved ones experience as a result of our diagnosis with primary, or secondary, breast cancer. 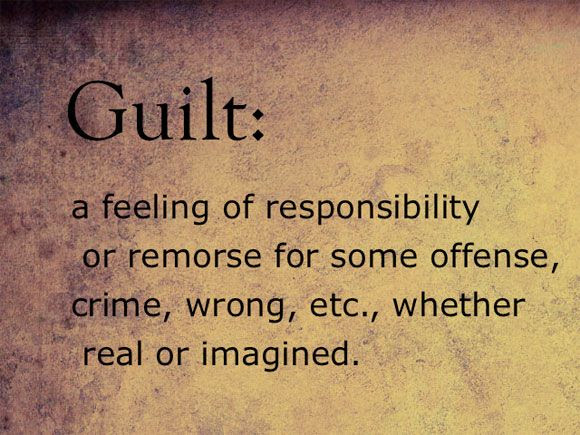 Guilt can be one of the strongest emotions we experience - we feel guilty for bringing this disease into the lives of our families and its impact on our husbands, our partners, our parents, our colleagues, our employers. We feel guilty for exposing our families and friends to worry, fear and uncertainty. Those of us who are mothers are haunted by our sense of having allowed an unspeakable horror into our children’s lives; those of us who want to be mothers feel guilty that we may be unable to give our partners a family. Some of us described feeling as though we had failed our loved ones in some way. Rationally, we know we are not to ‘blame’ but we can’t help but wonder what it was we did, or did not do, that might have caused us to develop breast cancer. We find ourselves questioning our life-style choices, our experiences and asking whether they could have contributed to our diagnoses. The questions that follow us are: why me? why not me? where did I go wrong? did I bring this on myself? Is this a punishment? We find ourselves taking on responsibility for developing primary breast cancer, for facing side-effects and complications, and if our cancer returns, for developing secondary breast cancer. Naz explained that we are not as well-equipped to cope with guilt as other emotions. 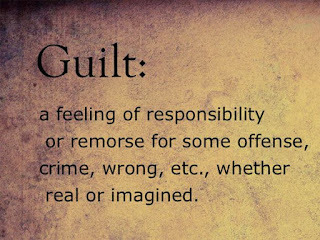 This is because guilt carries with it a strong emotional and cognitive component that justifies this emotion. Usually, our cognitive brain systems regulate or down play emotions that run high, but with guilt, our cognitive systems often serve to re-affirm our guilty feelings. This is one of the main reasons that feelings of guilt can last for a long time - for years post trauma. Unwittingly, the expectations and reactions of others can re-affirm our guilty feelings. We are advised to - ‘stay strong’, ‘be positive’, ‘your family needs you’, ‘you need to keep going because of them.’ But often we don’t feel positive or strong and these 'sympathetic' comments increase our guilty feelings, we feel we shouldn’t complain, we are supposed to feel ‘lucky’ - because we have a ‘good cancer’, because we didn’t need chemotherapy, or radiotherapy, or haven’t had a mastectomy. The media, we decided, plays a role in exaggerating these unrealistic expectations: are you strong enough? Brave enough? Tough enough? 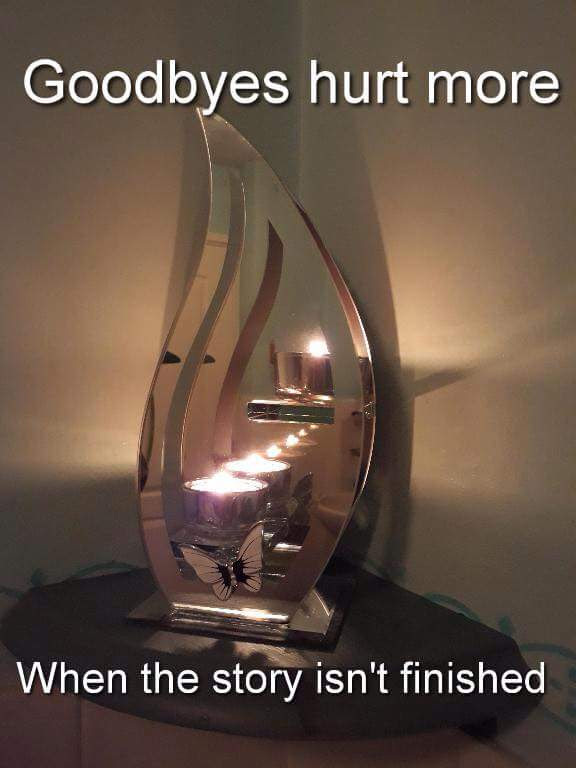 to ‘battle cancer.’ Women with secondary breast cancer described their emotional anguish as a result of the unspoken, offensive subtext that accompanies these messages - that they were somehow not strong enough or brave enough to stop their cancer coming back. The reality is that our power in influencing cancer outcomes and recurrence is very limited. So we feel doomed to failure. Yet we suffer in silence, unable to talk openly about the realities of secondary breast cancer. Those of who have finished active treatment described how we want to meet the high expectations that we and others hold of ourselves. But we are exhausted, thrown into an ocean of uncertainty, trying to find a safe harbour to shelter from the storm of cancer which can be a long and turbulent. We want others to understand, to empathise, but we find ourselves mute and numb, unable to communicate how we feel and what we are going through. Some of us described feeling ‘survivors’ guilt’ when we have lost friends as a result of breast cancer. So can guilt ever be made to disappear? We can try to prioritise our own needs. We can share our vulnerability so that others see our interior experience as well as the tough image that we project outwardly. We can remind ourselves that we have very little control in the development of this disease. We can forgive ourselves.